I have been in this mood to spruce my backyard. I have a small vegetable garden started, but my backyard is missing character, and a whole lot of it. I go back there, and there isn't much that screams out Priscilla. Very little color, and lack of fun plants. Yesterday, I went to Lowes and got a small little fence for my vegetable garden, I bought vines to grow on trellises with pretty flowers, and I also covered our dirt area with mulch. I looks better, but it still needs more. 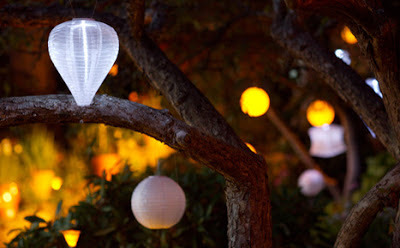 We have a big tree in the corner of our yard and I thought adding hanging lanterns would help. 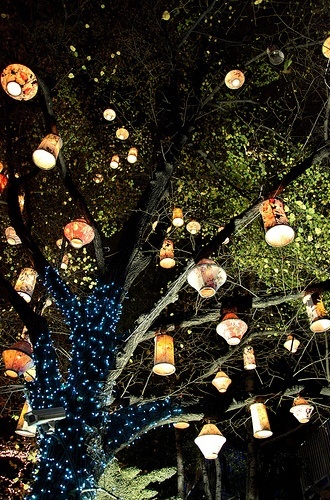 And at night it could look magical! Here's a little inspiration for what I kind of had in mind! 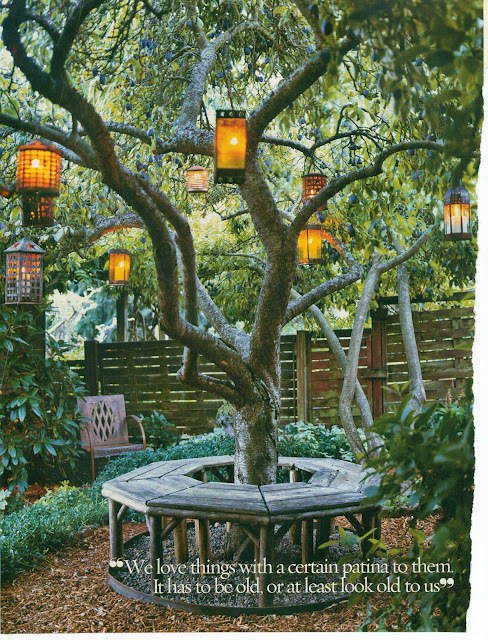 I feel like whatever direction of lanterns I go, it will be a big improvement to the yard. Now, for the hunt! Yay! Yesterday was the first day of Summer, and I loved it. First, my birthday is around the corner, and more importantly, I get to wear my shorts! Haha! I am so particular with shorts, mostly because I need the length to be just right. But I think I found some of my favorites this season that will be perfect for me! 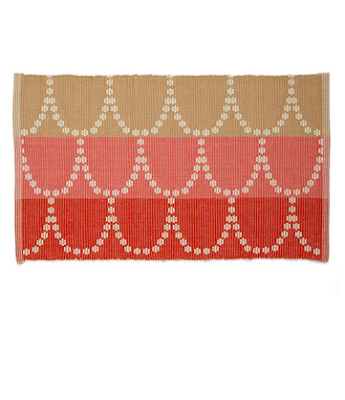 1-The scalloped yellow ones are adorable. I have been wanting scalloped shorts for a while too. 2-I have been on the search for a good denim pair of shorts. 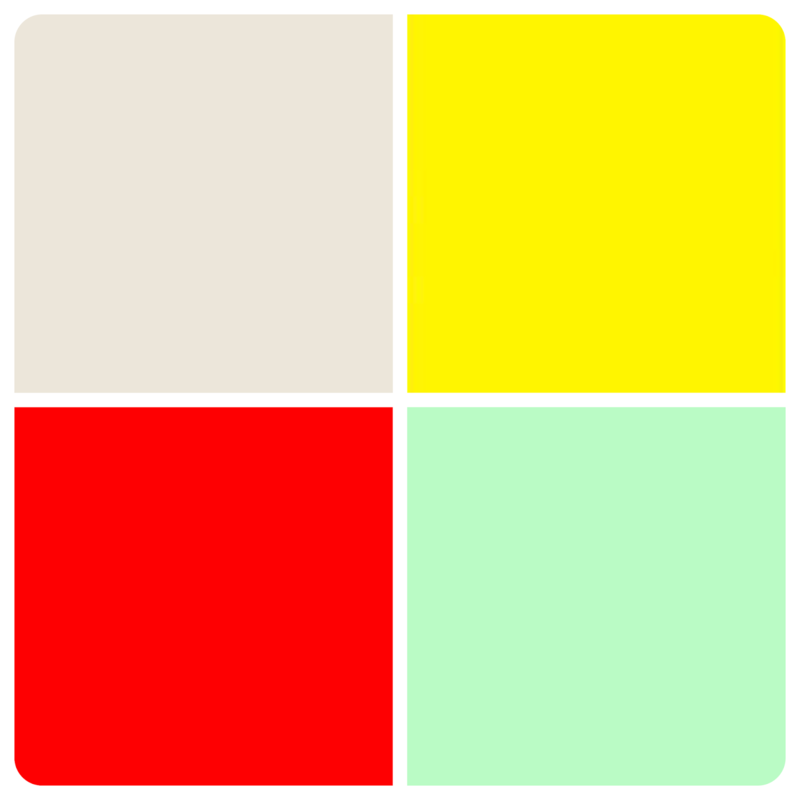 These are the right length and the right color too! 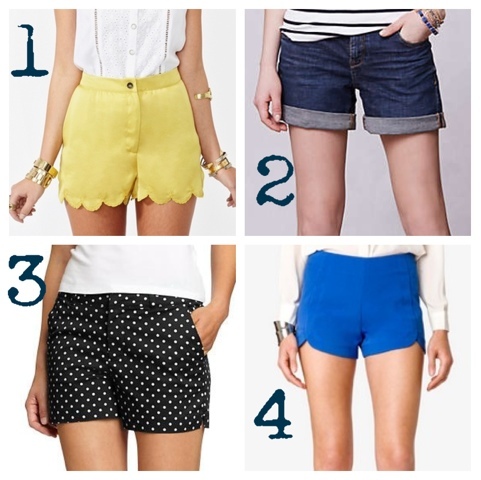 3-I have been into polka dot shorts lately. They really can make your outfit fun! 4-I love these tulip shorts. I have them, and they are not as short on as they seem. It also helps that I am only 5'2 though. The color is very summer time! 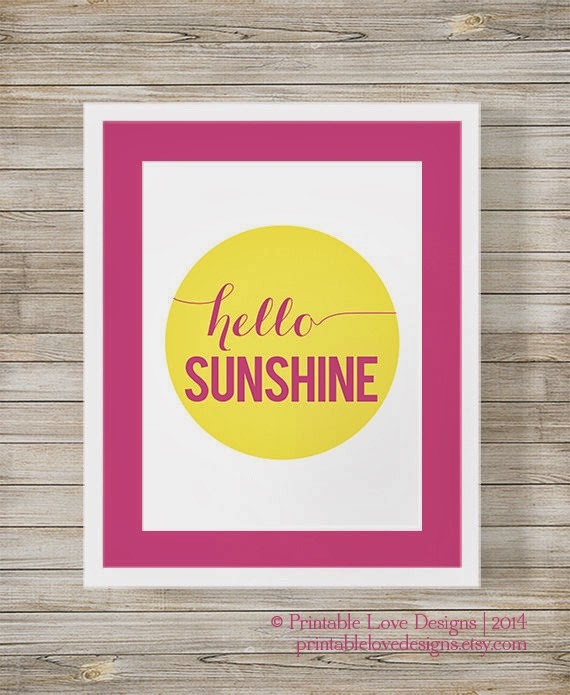 What's one of your favorite things about summer? Enjoy every moment of it! I had been on a hunt for inspiration on pinterest for spray painting metal wire bike basket. I have had my bike for years now, but I started riding recently again and started to really notice the bike details. Having a basket is soooo convenient, but the one I have is not necessarily the cutest. Since it is just a plain old metal basket, I thought..."oooh, let me spray paint it a nice color!" The problem? Well, pinterest didn't have any spray painting basket ideas. Bummer. To be honest, I was thinking of just going with a cream color basket, until one day on the Target pinterest page I saw this! 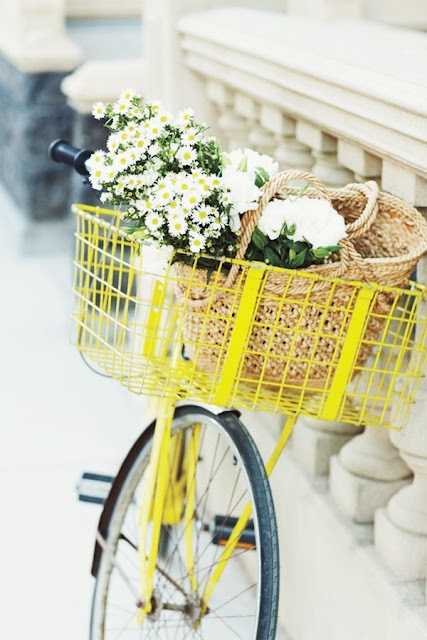 They weren't taking about spray painting it, but the basket looks just like mine, and this bright color is so amazing! Now, all I need to do is pick the color. I'm between four. But which one? 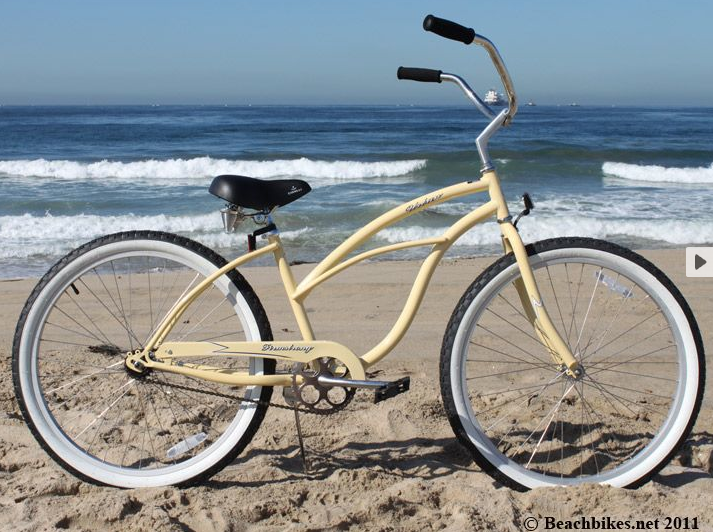 My bike is a vanilla color exactly like the one below, except I added a metal wire basket. So....help! What color do you guys like? Yellow could give my bike an overall yellow look. The mint can make the pastels very girly & cute. The cream can keep the bike subtle. And the red can really make the bike pop and keep it fun. Not sure what I'll be doing. Today, I'll be picking up the spray paint, so wish me luck. I'll post about it next week!! Summer is just around the corner, and outdoor fun always comes to mind! And what says summer like a colorful outdoor fiesta. So easy to do, and very inexpensive. Decor- Lots of color! Tissue paper to make pom poms. Colorful paper for banners, and fun fans. 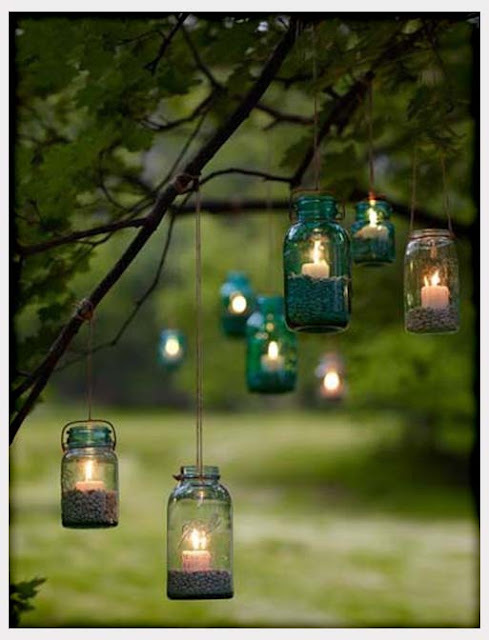 Also, I found this great idea for decor/center pieces. Salsa cans!! After you use, clean and plant cactus. What a fun idea! Food- Making it an appetizer/finger food can cut cost. It can also make the fiesta more casual and fun. Making individual shrimp cocktails can be an option, or cutting mini corn on the cobs. So many options when it comes to Mexican appetizers! And don't forget chips & salsa too! Drinks- Mexican Sodas are inexpensive and so colorful. You can also have adult drinks, and have pre-made mojitos/sangria in big drink dispensers with lots of fruit inside. Now, we are all ready to make our own outdoor fiesta! Let me know how yours comes out! This weekend, I will be spending some time in the sun. And nice sunny weather always calls for some fun dance music. I love to dance, and I just love music with soul. Yesterday, I made homemade chocolate chip cookies, and I felt like I needed to do more with them, so I made Ice Cream Sandwiches. I always think to do that, but never remember when I actually have the cookies in hand. It all started when I made the cookies. I usually follow the recipe on the back of chocolate chip bags. It's basic, and so easy to do. You can find a basic recipe here. After I made the cookies, that's when the lightbulb went on! " I have vanilla ice cream and sprinkles! "But of course, make sure to let the cookies cool down if you're not going to eat them right away because it will make your ice cream melt. I added sprinkles! Sprinkles are the best. They add color, texture, and somehow it makes everything more delicious! Then it was time to eat the sandwich. It was sooooooo good. I am definitely going to make more! Well, as we know, Sunday is Father's Day. Father's Day is a harder for me to do shopping. My dad is pretty easy to please when it comes to gifts, but my mom is just way easier because I constantly go to stores and think, "my mom would so wear that..." But with that, my dad is much more simpler, and I always want to get him something that he will really like. This gift guide is a little more personalized for my dad, but I honestly think most dads would like any of these things. Tie- This grey striped tie is very dad-like, but modern since it's skinny. I absolutely think any dad would look like a stud in this. Swiss Army Knife- Not! It's a bar swiss army knife for the bartender on the go. It comes with bartending tools, and a drink guide. My dad loves making specialty drinks, so this seems kind of perfect! Watch- This Timex watch is so fun, and a great price at only $50. So cool, functional, and they come in various colors to choose from. Chef Hat/Apron- What I love about this gift is that it is personalize. A personalized gift is always a good idea. For my dad, he loves cooking! So it seems only appropriate to get him a personalized hat/apron! So personalized based on his hobby! Pens- These tool pens are soooooo fun and corky! I kind of want some for myself too!! Whoever that dad figure is in your life- your dad, grandpa, brother, or a friend, it's always a great time to show them that you appreciate them. I am lucky to have a great dad who's always been my number one cheerleader, and has always been so proud of me. I used to have a white vanity growing up, and I actually have it in my possession again. But this time I spray painted it gold since it's been white ever since I got it. Anyhow, this vanity has always been on a search for a seat to go with it. I used to have a cushioned one what it has pink fabric, and at some point it, it started ripping. It was okay anyway since pink doesn't really go with everything. Then I got a cheap little stool from Ikea as a replacement, but eventually it got old. Then I got rid of the vanity and thought, "oh well, I guess I don't have to worry about a seat again." But when I got the vanity back, and I was on a search again. I went to the Goodwill just because, and there she was. The chair was the perfect size, and it was only $5! I think what I love about the chair mostly is that cute, but it needed a little love! All I did was clean it well, spray painted it white, and let it dry. Voila, a new chair! 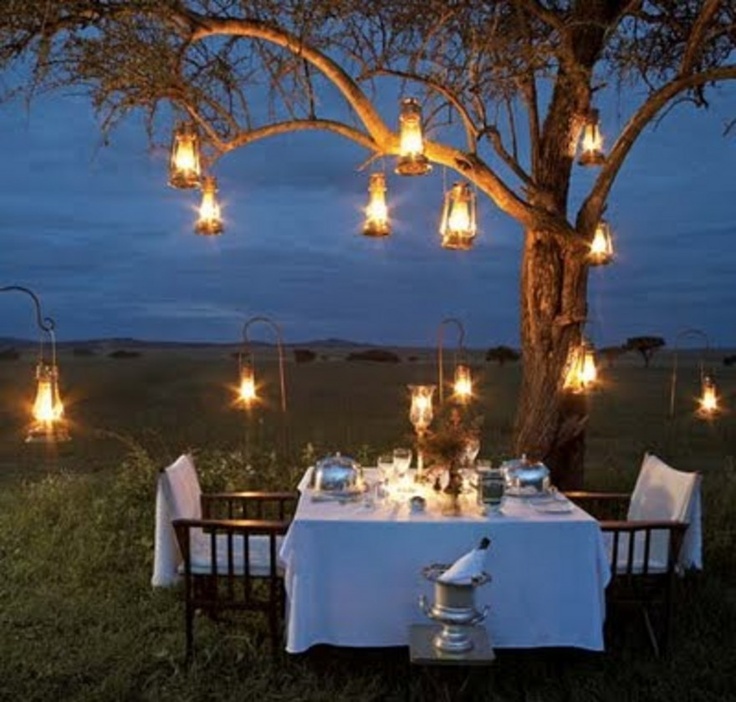 I mostly love that the chair is wicker, and I can use it in other rooms if I wanted to. So cute! Now, here's my little beauty corner! I love mismatched furniture, and I'm glad the vanity is gold because it makes the chair pop, and get it's own attention. I am happy I was able to transform this wicker chair. I am in love with it. Oh, and it swivels too! Score. My top 5 things I'm loving from Modcloth. I have had all these things in my cart for weeks. I never get myself to get every item, but I may spoil myself to one! 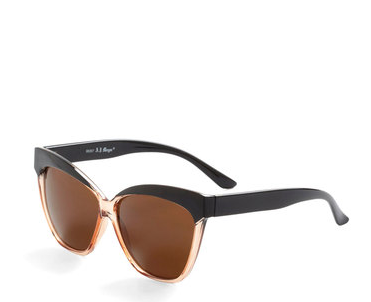 I absolutely LOVE these sunnies!!!! So amazing. 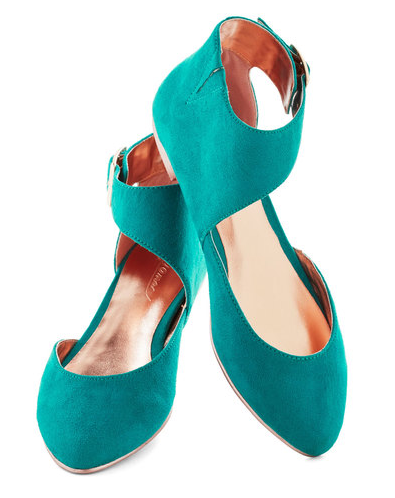 These turquoise flats are so spunky! Love to make a statement with my feet. 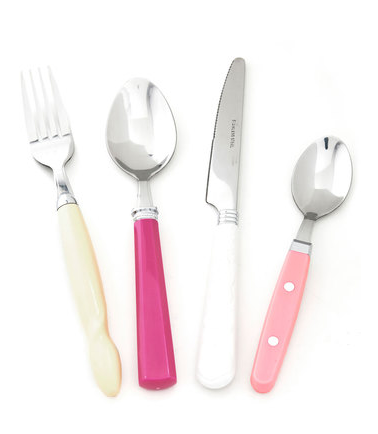 I have been looking at colorful forks all over the place. Loving the girly palette. May just do a DIY on this. This scalloped bath mat is adorable, and the design is just so me! 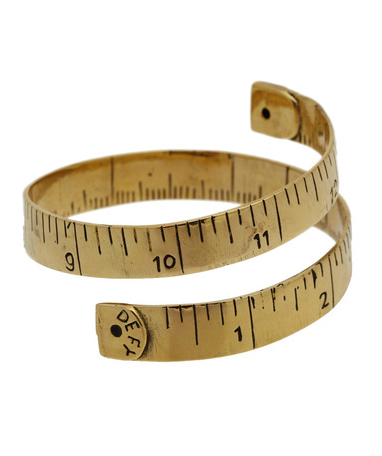 Swooning over this bracelet! Too bad it's sold out now. 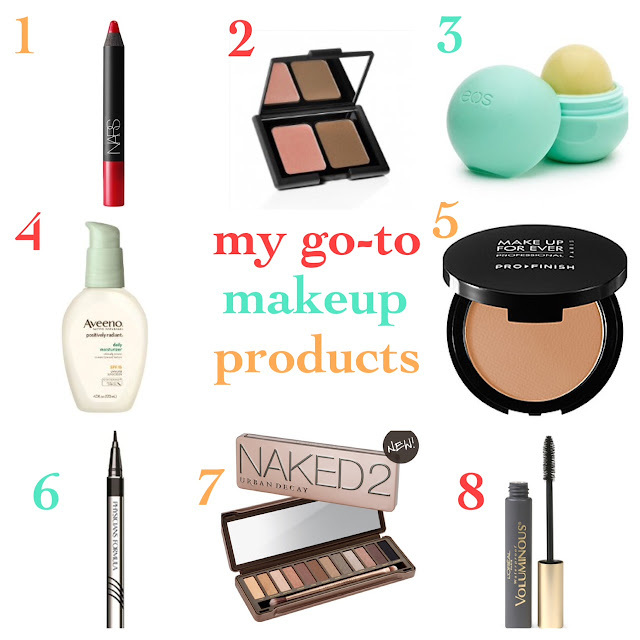 First , I am not claiming to be a beauty expert...and probably won't ever be, but I just wanted to share some of my favorite beauty products thatI love and usually use on daily bases. 1-Nars lip crayon in Dragon Girl is one of the products I use when going somewhere special. It's not an everyday product, but I do love it so much! It's so easy to put on, and the red/pink color is fab. $25. I haven't done this in a few weeks. Mostly because our weekends in the month of May were pretty busy! So busy, I hardly remember them. I will give a quick recap of our weekends in the month of May, so bear with me. The pictures should remind me! First week of May, we were actually in Phoenix. We drove there...and it was a little long drive, but not too bad. We have a house there we rent out, and the tenants were moving out, so we had to go out and check on it for the move-out inspection. Luckily, it was great, and we got new tenants the following week. Talk about blessed! Ralph checking on the house, and making sure everything is in order. While we were there, we stayed at my friend's house. 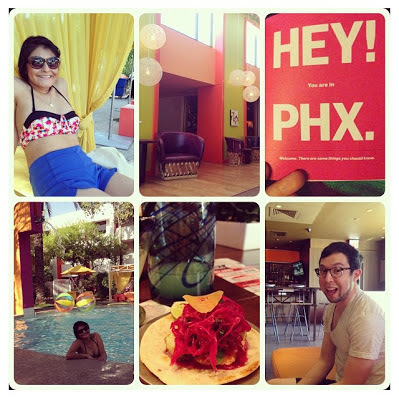 Summer was so hospitable and showed us some cool spots in the PHX. The second day, we stayed at The Sauguaro in Scottsdale. It was pretty nice to relax and feel like we were on vacation. This was Mother's Day Weekend, and I mentioned before we didn't celebrate that weekend since my parents were on vacation. Anyhow, my sibling and I decided we should take picture with all of us, and my nephews. We wanted to make a photo book for my mom, and have fun pictures. None of these pictures are professional, all done with my iphone. Obviously, we planned last minute! From left to right: My little brother-Peter, my older sister -Joselyn, the oldest sister-Carolina, and me! My siblings, and my nephews. They all belong to my sisters, but here the kids are mismatched to their parent! The whole bunch. And yes, this was self timed! haha! And my cute nephews! They are a fun group. Although having a picture where they all looked at the camera was more challenging than we thought. Overall, the weekend was a success! Mostly because the photo book made my mom cry with joy! We did a whole bunch of things this weekend. All kind of random! I actually couldn't remember until I looked at my pictures. I went to the Dear Creatures Sample sale with my BFF. We were so excited. We didn't go too crazy, but we did get some fun items. Then the Chang man and I went to Ventura and had some yummy oysters! We love taking random trips to have good food! And last but not least, we finally had our Mother's Day lunch. We all had a fun time. I am just so thankful for my momma. She has taught me so much, and I can't go on because I'll start to cry on my keyboard! This was a family packed weekend. One day was with the husband's family, and the other day was with mine. My sister-in-law(Ralph's sister) is having a baby girl early July, so we had a fun little shower her. Very girly and pink, and I loved it! We spent that afternoon having tea, and sweets! Then, we somehow ended up at Water Grill that night for oysters. We sure this love oysters! I love our random little dates. My favorite thing! And it's always good times when all four of us get together. We sure love our cousin, Nancy. Definitely like a sister to us! That day was ended with a evening walk with some family over by house. So much info, but that was my past month! 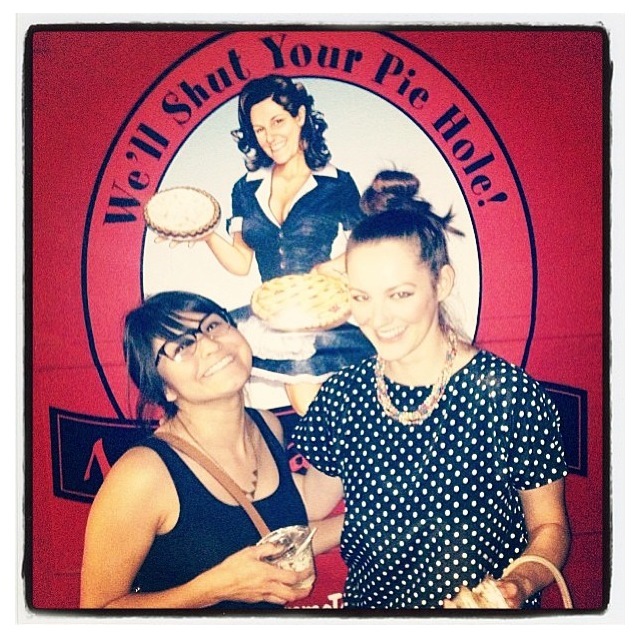 In summary, the May was filled with family, food, and fun!